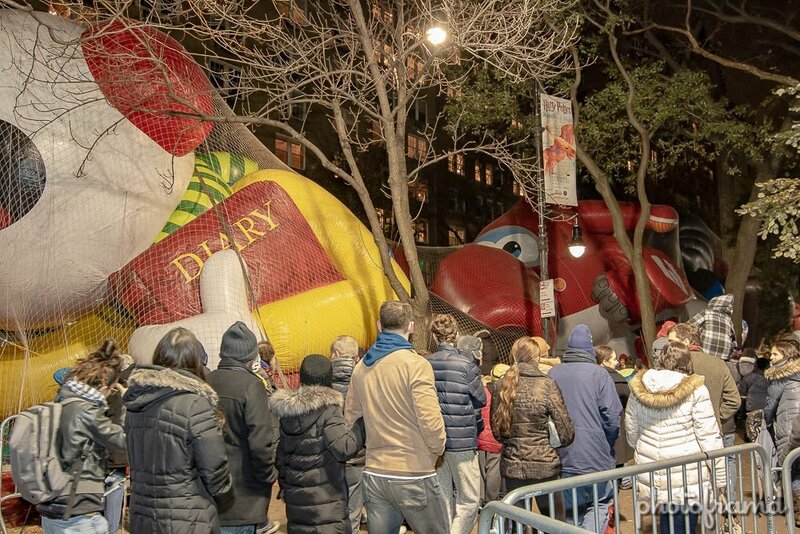 I look forward to seeing the inflation of the Macy’s Thanksgiving Day Parade balloons every year. Until you have seen them in person, you can’t appreciate you BIG the balloons really are! Unfortunately, getting to the balloons is an endurance sport. After entering at 73rd St & Columbus, you and a thousand other New Yorkers are corralled up and down 74th St three times before you actually get to the balloons. At least they eliminated the second Disney line on the other side of the Natural History Museum! 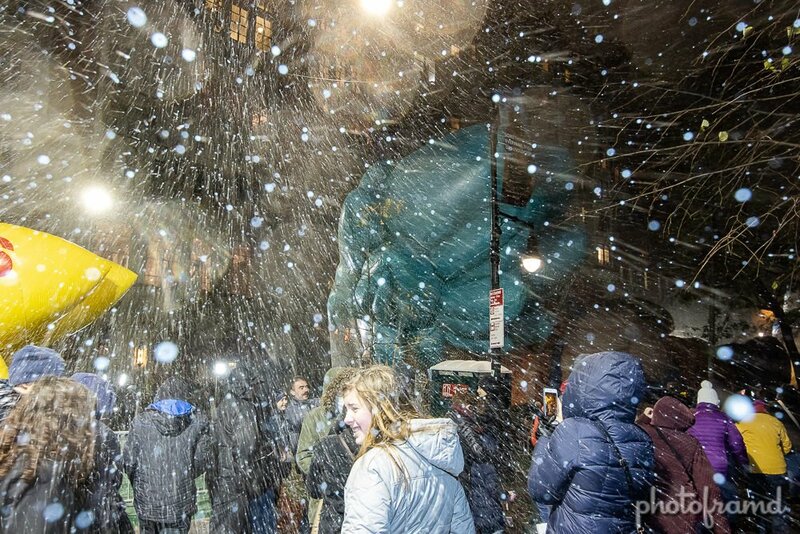 And then, this happened … hail!!! It was cold with the wind chill in the single digits. New balloons this year include the Netflix elves from The Christmas Chronicles, Dragon Ball’s Goku, Little Cloud from FriendsWithYou, and Sunny The Snowpal. The crowd was well behaved and the local news was out. Take a look at the photos.